The Swiss watch industry wrapped its arms around the burgeoning global market for pre-owned watches today as it announced the acquisition of Watchfinder, a UK-based specialist with turnover of around £120 million ($168m). The company’s most recent accounts, seen by WatchPro, show turnover in the financial year ending March 2017 of £85 million ($119m), up from just over £60 million ($84m) the previous year, but managing director Stuart Hennell has stated that the business is now trading at an annualized turnover of £120m. 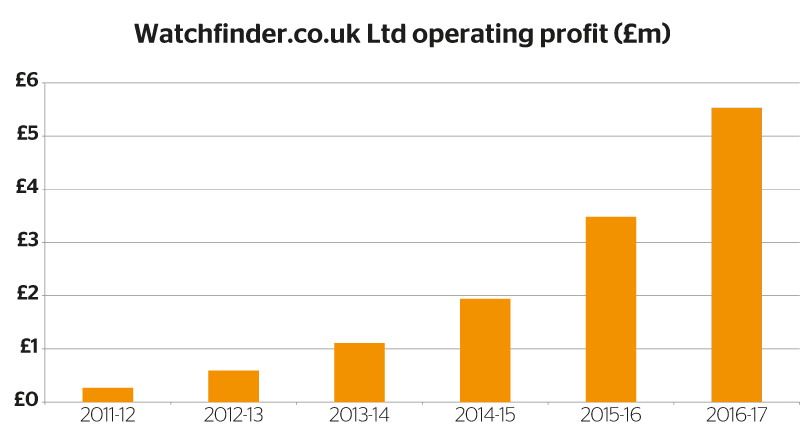 Operating profit in 2017 was £5 million ($7m), a figure that surprised industry experts who thought there was little margin in the cut-throat market for luxury pre-owned watches, particularly those properly serviced and given a warranty like those from Watchfinder.